Dr. Christine Hoang was born in Saigon, Vietnam and grew up in Holland before moving to Pearland, TX with her parents in 1995. After completing her Bachelor of Science in Biology from the University of Houston, Dr. Hoang went on to earn her Doctorate of Dental Surgery from the Indiana University School of Dentistry in 2010. After practicing as an associate, she joined her husband, Dr. Vincent T. Vo, and opened Advanced Care Dentistry & Dentures. 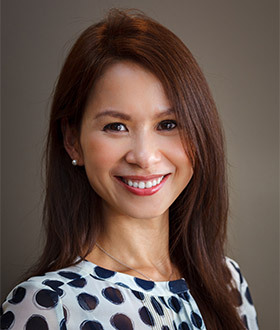 Dr. Hoang is passionate about dentistry and uses the latest innovations and techniques to deliver personalized and compassionate care to her patients. Dr. Hoang maintains memberships with the American Dental Association, the Texas Dental Association, and the Greater Houston Dental Society. Building long-term relationships, creating beautiful and healthy smiles, and improving the quality of life for her patients are some of the reasons why Dr. Hoang loves being a dentist in Pearland and Pasadena. In her spare time, Dr. Hoang enjoys spending time with her family, traveling, and running. Dr. Hoang is excited to be part of the Pearland and Pasadena communities and looks forward to serving the diverse and multicultural populations. Dr. Vincent T. Vo had a lifelong dream to become a dentist. 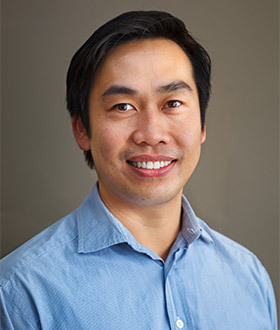 After graduating from high school in 1990, Dr. Vo was accepted into the University of Missouri-Kansas City’s highly selective and rigorous six-year Bachelor of Arts/Doctorate of Dental Surgery program. After graduating from dental school in 1996, Dr. Vo practiced as an associate to hone his skills. In addition, Dr. Vo completed extensive continuing education to keep abreast on the most current advances in dentistry. During this time, he also served as an assistant clinical instructor at the Indiana University School of Dentistry. Dr. Vo maintains memberships with the American Dental Association, the Texas Dental Association, and the Greater Houston Dental Society. He believes in building caring and trusting partnerships with his patients in their quests for long-term oral health. When not practicing dentistry, Dr. Vo enjoys spending time with his wife (Dr. Hoang) and their three children, practicing martial arts, and traveling. He looks forward to providing dentistry with the utmost compassion and care in an environment that will leave everyone smiling. 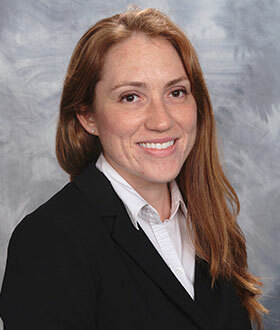 Dr. Angela Marteeney was born and raised in Houston, TX. She received her Bachelor of Science undergraduate degree from the Univeristy of Houston and went on to earn her Doctor of Dental Surgery degree from New York University. After graduating from dental school, Dr. Marteeney returned home to Texas to serve the greater Houston area. She maintains memberships with the American Dental Association, the Texas Dental Association, and the Great Houston Dental Society. Dr. Marteeney’s goal is to provide quality and compassionate care to patients of all ages and backgrounds. She especially enjoys providing care for children. In her spare time, Dr. Marteeney enjoys spending time with her family, camping, running, and doing yoga. I grew up in Florida. I love spending time with my daughter and family. I love traveling and try to take my daughter to Disney as often as possible. I love the dental field. I have over 10 years of experience and training in the dental field. I was born in California. I know way too much about motorcycles. I love waterskiing on the lake with my family. I have exactly three different addresses. My "OCD" habit is making lists. Even my lists have lists! I am an avid tent camper. I love to travel by car or plane. I have two super cute dogs. I look forward to every day and try to see the positive in everything. I’m scared of heights and won’t climb down from a ladder. I have a sweet tooth. I used to go to sleep with candies in my mouth. I have to eat popcorn every single day. I love the hot Houston weather. I love the color red. I am obsessed with shoes and bags. I’ve been a Pearland resident almost my whole life. I was born on Easter Sunday, which is also my favorite holiday. I’m so directionally challenged; OnStar has become my best friend. I enjoy live music, traveling, riding ATVs, boating, and spending time with family. My soft spot is for bacon-wrapped filets with blue cheese crumbles. My name is a combination of my parents’ names. I have to drink green tea everyday. I love to try exotic cuisines. My phobias are frogs and lizards. I was born in Houston. I’m allergic to peanut butter. My favorite team is the Houston Texans. I like to spend time with my wife, family, and friends. I like to go fishing or host barbecues for family and friends. When I can, I enjoy visiting my family in Mexico. I love my job—dentistry is my passion. I have been in the dental field for over 20 years. I have been a hygienist for two years. My favorite part about my career is helping patients feel comfortable and at ease in the dental chair. When I’m not at the office I am usually visiting my family and friends, out on the lake, or traveling. I am originally from Washington State and moved down here to go to school and pursue my career in dental hygiene. I really enjoy my job and the people I work with, and I love caring for our patients! In my free time, I enjoy spending time with family, especially my teenage son. I was born in Houston. I am a graduate from the Texas School of Business with a certification in dental assisting. I joined ACDD in 2010. My husband, Orlando, and I are proud parents of our son, Orlando Jr. In my free time, I enjoy spending time with my family, watching movies, BBQing, going to arcade games, and doing home improvement projects. I have been practicing dental assisting since 2010. I love the interaction with our patients. Outside of work, I enjoy spending time with family and friends. I’ve been a registered dental assistant for two and a half years. When the opportunity to work in the denture field arose, I didn’t want to miss out. I enjoy working with denture patients and helping them throughout each process. I love watching patients’ self-esteem grow throughout their treatment! In my spare time I like playing tennis, jogging, and volunteering. I’ve been a registered dental assistant for five years. I joined ACDD in 2012. I love being part of this dental team because the staff is truly dedicated to giving patients the best possible care, and they love to see the patients happy with their smiles. While away from the workplace, I enjoy spending time with family and friends, traveling, fishing, listening to music, watching movies, and reading. We reserve openings in our schedule for emergencies, so you don’t have to wait in pain. Our flexible payment plans make it easy to afford the care you need when you need it.